We are now taking enrolments for our next Advanced Diploma Course which will commence on April 27th 2019 and will run on 6 Saturdays (10am-5pm) over a 6 month duration. 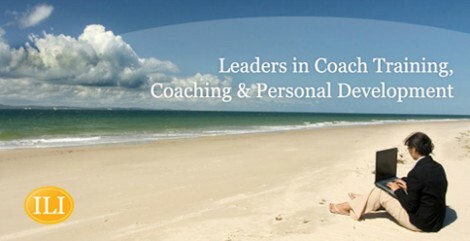 Our Advanced Diploma in Personal & Business Coaching is aimed at all qualified professional coaches who have successfully completed a recognised Professional Award in Coaching and who use or intend to use coaching on an ongoing basis in their daily work. This can apply to those who have already set up as full time or part time coaches (or are planning to do so) and also to those who work in a managerial, supervisory or HR capacity in their company or organization where they use coaching on a daily basis. The course can also act as a refresher course for those who have not prcaticed coaching for some time and wish to start soon. The programme is also specifically designed to create a pathway for the coaches to move towards their International Coach Federation (ICF) credential and the course fees include 7 group Mentor Coaching hours – 10 hours are required for ICF Credential Application. Please note – this course does not give you an ICF Credential – it is designed to get you focused, motivated and stay on track so that you will be at a point at the end of the course where you will be (nearly) ready to make your application for your ICF Credential – you may still have 3 mentor coaching sessions to complete (7 group mentor coaching hours are covered on the course) and you may still have a small number of coaching hours to fulfil (100 hours is your target for credential). After you apply for your ICF Credential you will be asked to complete an online exam. We will prepare you for this throughout the course by deepening your knowledge and understanding of the ICF Core Competencies, Ethics and Definition. 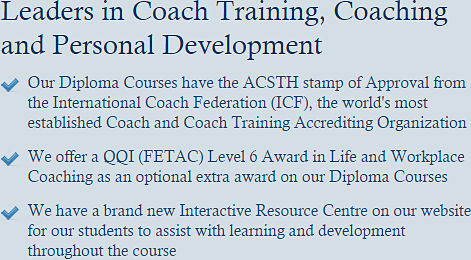 There is no obligation to apply for accreditation with the ICF after this course.